The discussion of family pension and attached comparative table are based on information available in (i) Compendium of Pension Rules and Orders with Notifications 2014 Edition by Ideal Publishers, Karachi, and (ii) Punjab Civil Services Pension Rules Compendium 2008 as downloaded from internet. In case of there being any conflict between (a) information so obtained, and (b) actual government rules / order, the latter will naturally have to be complied with. This paper is in response to a distress call from a grade 8 female employee of Punjab government from Gujranwala. She explained that she was the unmarried daughter of a deceased pensioner, and was therefore drawing family pension. 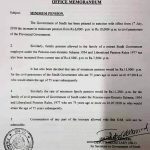 However, pension authorities in Gujranwala and even Finance Department in Lahore were of the view that being an earning lady, she was not entitled to receive family pension of her deceased parent. According to her she facing even threat of a criminal case of fraudulently receiving inadmissible pension amount unless she refunds the entire amount (over Rs.300,000) of gratuity / commuted value and drawn pension etc. Spouses and descendants [Widow/s, Husband, Children and Widows of deceased Sons]. Spouse and descendants (if otherwise eligible to receive family pension) falling in category A are entitled to receive family pension irrespective of their income, employment and wealth level. Federal government pension rules do prescribe that “no family pension is payable” to a family member of category B “without production of reasonable proof that such person was dependent on the deceased Government servant for support”. It is not clear if this is required under Punjab pension rules too. However, it does NOT apply to family members of category A. A person of category A entitled to family pension of Rs.100 would receive Rs.100 and not a single rupee extra even if that person is otherwise a penniless pauper with no other come. On the same analogy, that person, even if a billionaire, and with 7 figures regular income, has the vested right to receive family pension of Rs.100, without curtailment from it of a single rupee. This paper is presently in English language. I intend to re-write it in Urdu too for the benefit of persons not good at English. However, I would request all readers to kindly give their considered comments direct to me on my email addresses, or even talk to me over my phone. Shall be further grateful if any errors in the paper are pointed out for correction. in Para 2 (1) of the Annexure. Para 3 (2) of the Annexure. Note-(i) A child means a legitimate child or an “adopted child” if under the personal law of the Government servant concerned adoption is legally recognized as conferring the status of a natural child. Note-(ii) If it is proved that the wife has been judicially separated from the Government servant or has ceased under the customary law of the community to which she belongs to be entitled to maintenance, she will no longer be deemed to be a member of the family unless the Government servant has himself intimated in writing to the Accounts Officer / Head of the Office that she will continue to be so regarded. 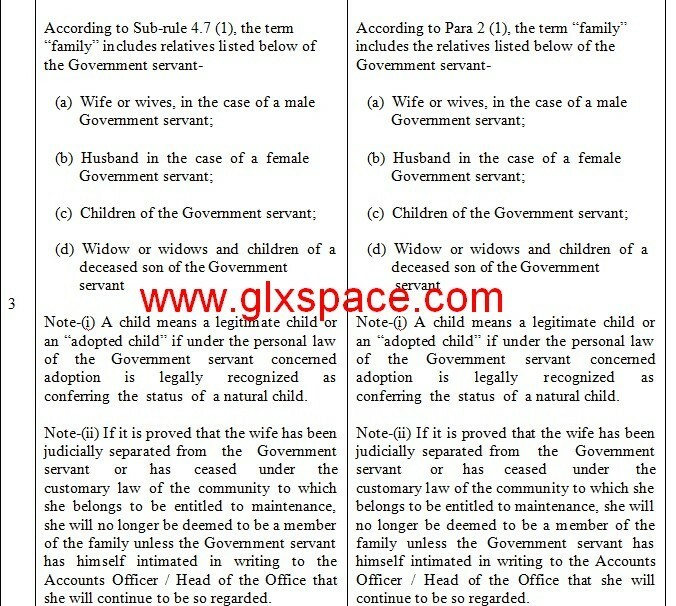 Note-(iii) In the case of female Government servant, if the wife intimates in writing to the Accounts Officer / Head of the Office that her husband should not be included as a member of the family, then he will no longer be considered a member of the family unless subsequently she cancels in writing her intimation excluding him. 4 According to Rule 4.10 (2) (A), the family pension shall be allowed as under:(i) (a) To the widow of the deceased, if the deceased is a male Government servant, or to the husband, if the deceased is a female Government servant. (b) If the Government servant had more than one wife, and the number of his surviving widows and children does not exceed 4, the pension shall be divided equally among the surviving widows and eligible children. If the number of surviving widows and children together is more than 4, the pension shall be divided in the following manner, viz. each surviving widow shall get 1/4th of the pension and the balance (if any) shall be divided equally among the surviving eligible children. Distribution in the above manner shall also take place whenever the Government servant leaves behind surviving children of a wife that has predeceased him in addition to the widow and her children, if any. (c) In the case of a female Government servant leaving behind children from a former marriage in addition to her husband and children by her surviving husband, the amount of pension shall be divided equally among the husband and all eligible children. In case the total number of beneficiaries exceeds four, the husband shall be allowed 1/4th of the pension and the remaining amount distributed equally among the eligible children. (ii) Failing a widow or husband, as the case may be, the pension shall be divided equal among the surviving sons not above 24 years and unmarried daughters. (iii) Failing (i) and (ii), to the eldest widowed daughter. (iv) Failing (i) to (iii), to the eldest widow of a deceased son of the Government servant. (v) Failing (i) to (iv), to the eldest surviving son of a deceased son of the Government servant. (vi) Failing (i) to (v), to the eldest unmarried daughter of a deceased son of the Government servant. (vii) Failing these, to the eldest widowed daughter of a deceased son of the Government servant. (i) To the widow of the deceased, if the deceased is a male Government servant, or to the husband, if the deceased is a female Government servant. If the Government servant had more than one wife, and the number of his surviving widows and children does not exceed 4, the pension shall be divided equally among the surviving widows and eligible children. If the number of surviving widows and children together is more than 4, the pension shall be divided in the following manner, viz. each surviving widow shall get 1/4th of the pension and the balance (if any) shall be divided equally among the surviving eligible children. For the purpose, the term “children” excludes sons above the age of 18 years and married daughters. (ii) Failing a widow or husband, as the case may be, to the eldest surviving son. (iii) Failing (i) and (ii), to the eldest unmarried daughter; if the eldest daughter marries or dies, then the next eldest. (iv) Failing (i) to (iii), to the eldest widowed daughter. (v) Failing (i) to (iv), to the eldest widow of a deceased son of the Government servant. (vi) Failing (i) to (v), to the eldest surviving son of the Government servant. (viii) Failing these, to the eldest widowed daughter of a deceased son of the Government servant. (v) failing (i) to (iv) to the eldest surviving widowed sister. (c) to the brother of a Government servant on his attaining the age of 21 years. (d) to a person who is not member of a Government servant's family. 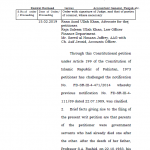 According to Para 5 (3) no family pension is payable under this section –(a) to a person mentioned in Para 5 (2) (b) above, without production of reasonable proof that such person was dependent on the deceased Government servant for support. (d) to the brother of a Government servant on his attaining the age of 18 years. (e) to a person who is not member of a Government servant's family. According to my knowledge, Mother and if mother not alive then unmarried sister. 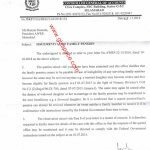 Can anyone please share the document in which it is mentioned that "Pensioner's (disabled Son) is eligible to receive pension for life." 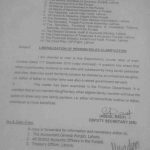 i m working in federal govt autonomous body. for the last 31 years. my age is 50. my wife passed away just 3 months ago. i have 3 children age 27(M), 25(F)married. and 23(F) student. i want to know about the gratuity and pension rules if youngest daughter married. on case of any mishap who will be able to get the benefits or should i take the retirement before the marriage of youngest daughter. 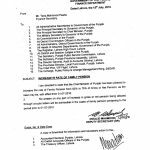 in civil servent pension rules Govt of Pakistan may give her grant of five year pension as a dowry. can this eligible for Defence ministry empolyes family. Dear miss my wife taking family pension and now she got married with me when we stop recieving pension can govt give her any gift and close her pension. i read some where she eligible for 5 year pension in liue of marriage gift by Govt.? she got pension from Pakistan Ordinace Factory and under Ministary of Defence though CMA. please tell me that family pension will be granted to the daughter children oo decease govt retired pensioner. Dear Shumaila. My father in law was a pensioner. My Mother in Law is a teacheres. After the death of her husband she is now receiving family pension of her deceased husband. Whereas she herself is in service. Is she entitled for family pension of her husband ? Dear M.Nauman Ur Rehman plz email to Mr. Amir Agha for the details of the same. I am afedral gov pensioner.my wife died.my allthe three sons are above 21. Will my adopted unmarried or divorce daughter be eligible to recieve family pension after my death. Dear zahid sahib plz email the details to Mr. Amir Agha. Please inform about the scenario where the widow of government servant was drawing family pension of her late husband and also her own pension after retirement. Now when she dies shall the widow/divorced daughter of these two be eligible to receive both their pensions or pension of only one of her parents. Dear Shumaila, actually i need the soft/scanned copy of Pension Rules 1977 if you have please share with me urgently. if you have any amended version of its do let me know also. I need clarification on the calculation and how much pension amount can be given to employee, and how much percentage can be retain by employer or government. i need your quick response please. Kindly let me know whether current charge is countable for the purpose of pension. If so, please describe. 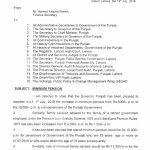 IS FEDERAL GOVERNMENT MAKE IN AMENDMENT IN FAMILY PENSION RULE LIKE PUNJAB GOVERNMENT ? sir mery father ki in service death hoi he grade 16 me un ky leye pension rule kya hen. My father was worked in punjab education department.